Come see it burn in our Ottawa Fireplace Showroom! 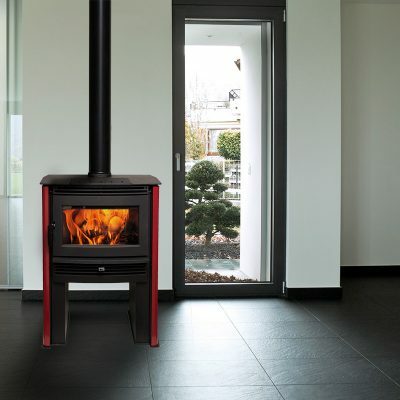 Powerful wood heating performance and natural beauty, The NEOSTONE 2.5 is ideal fir heating medium to large spaces. Like its smaller cousin the NEOSTONE 1.6, we took our highly efficient NEO 2.5 Wood Stove engine and wrapped it inelegant soapstone. The natural heat retaining properties of each unique large-scale piece of soapstone retains heat and slowly releases the heat back into the room, even after the stove is out. 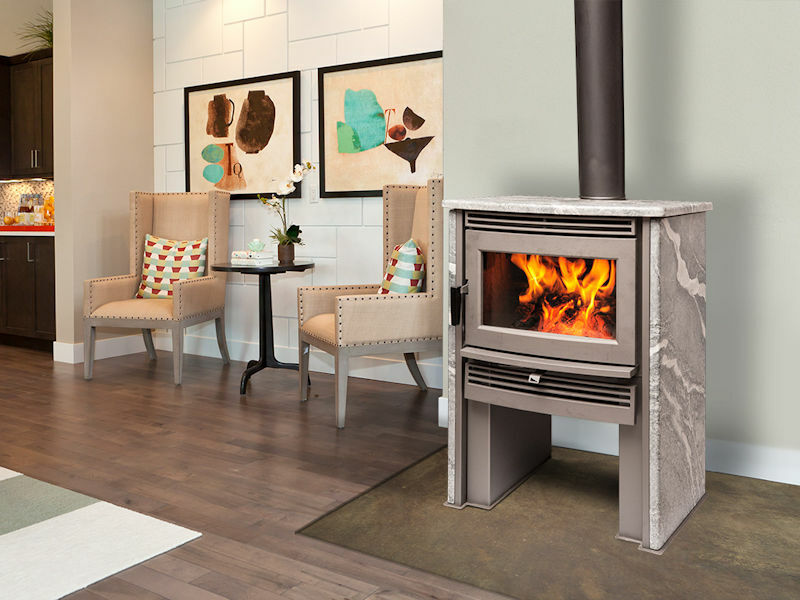 See the NEOSTONE Wood Stove installed and operational in out Ottawa Showroom. It may be obvious that a firebox is subjected to wide extremes of temperature. 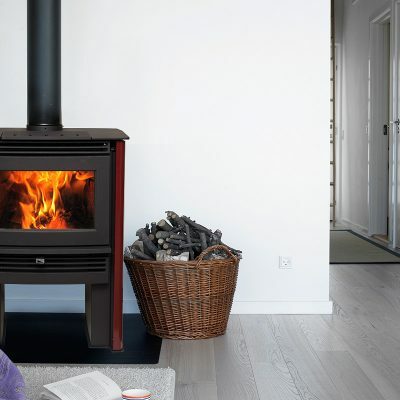 In some wood stoves, these extremes, and the related expansion and contraction, can lead to premature fatigue, and even failure, of metal components. But not with the Pacific Energy floating firebox system, which is legendary in the industry. Solidly designed with 304 grade stainless steel brick-support rails, it allows key parts to freely expand and contract, which reduces metal fatigue and adds years of life to the entire stove. The stainless steel baffle (part of the clean-burning secondary combustion system) the flame shield (which protects the stove top from intense heat) are all part of the floating firebox system. 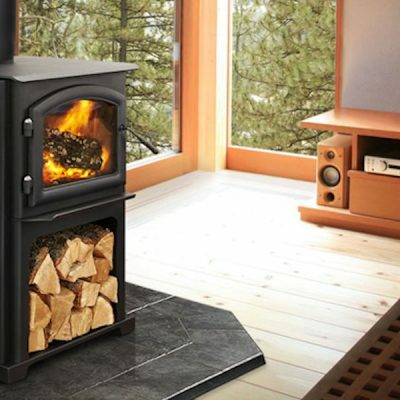 It costs more to build a stove this way, but we feel it’s well worth it. 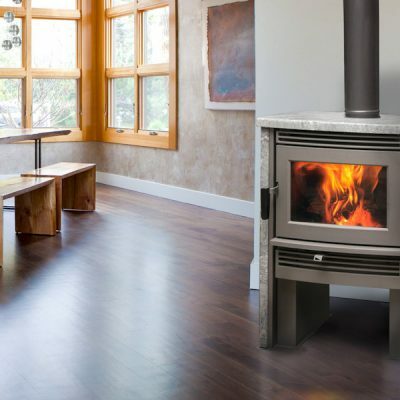 It’s one of the reasons we’re confident in offering Pacific Energy Wood Stoves, withj a lifetime warranty on every one of their stoves and inserts. And why Pacific Energy Wood Stoves don’t click, tick and ping when they heat and cool. FLAME SHIELD – Made from 304 grade stainless steel to protect the stove top from intense heat. BAFFLE – High volume secondary air combustion system for maximum efficiency. 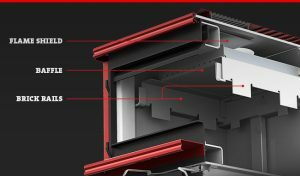 BRICK RAILS – Allow key parts to freely expand and contract, reducing metal fatigue and adding years of life to the stove.